It’s a bird… it’s a plane… it’s a… a… Banshee?! Disney World’s latest thrill attraction, located at Animal Kingdom Theme Park, is officially open and has crowds “flying” in to see what it’s all about! We too were too curious to pass up the opportunity to enjoy this new attraction. Of course, we wanted to share our experience with you – so here you have it! Opening May 27, 2017, Avatar Flight of Passage is one of the two attractions located in the new Pandora – The World of Avatar area within Disney’s Animal Kingdom. Flight of Passage is known as the “Centerpiece of Pandora” not just because of its location within Pandora but because it truly is the peak experience. Prepare to straddle what feels somewhat like one of those motorcycles at an arcade, be secured in, and then using 3D screen technology, awesome 4D effects, and motion simulation – feel like you are literally flying on the back of a mountain banshee in the most exhilarating way. Your banshee (somewhat like a flying dragon) will soar through the sky as it takes you on the ride of a lifetime through Pandora – The World of Avatar. 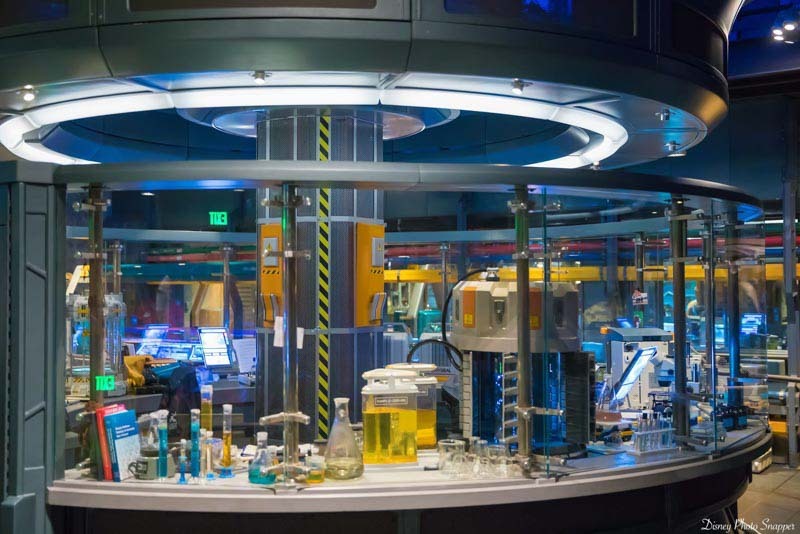 The Pandora – World of Avatar area in Animal Kingdom is based off the popular 2009 science fiction film called Avatar. In the movie, humans attempt to colonize on a habitable moon called Pandora. We don’t want to give away too much if you haven’t seen the movie, but the locals (known as Na’vi) explain bonding with a mountain banshee is a crucial step in the life of a Na’vi hunter. 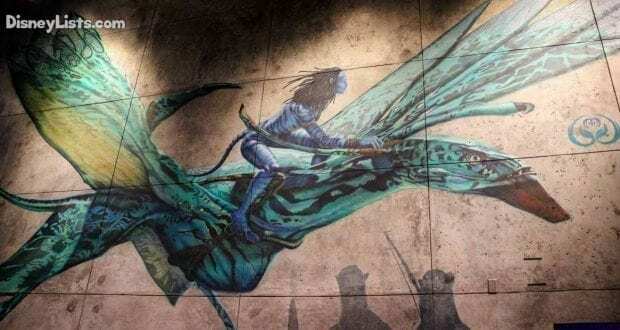 Flying on the back of one of Avatar’s largest predators represents an important rite of passage. If you haven’t had a chance to watch the movie, we recommend doing so prior to riding Flight of Passage so you’ll have a better grasp of what to expect! Tip – Disney is currently playing Avatar continuously on Channel 80 for all Disney Resort guests. After trekking through the park entrance and into the Oasis, you’ll want to make a left at the Tree of Life. Follow signs to Pandora, where you will make another left just before the Pizzafari restaurant. Shortly after passing Tiffins and Nomad Lounge, you’ll begin to see a change in your surroundings. 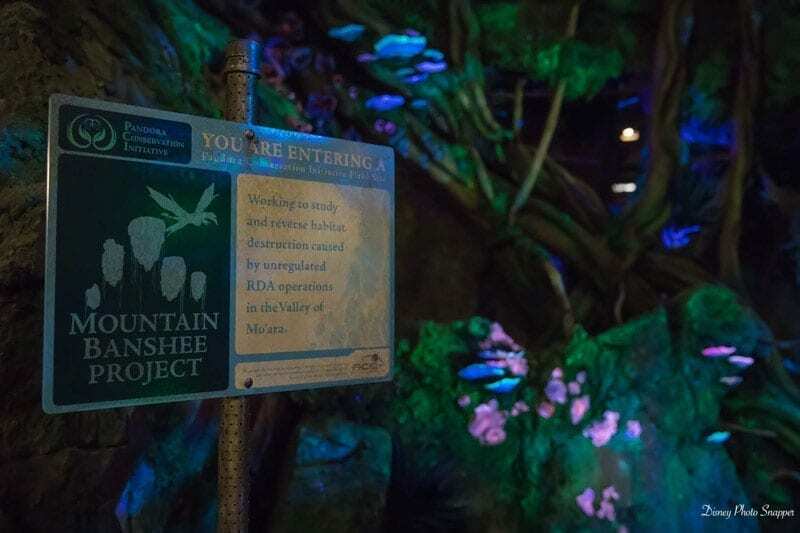 The most noticeable sign you’ve reached Pandora is the “Valley of Mo’ara” sign followed by a huge Pandoran plant known as the Flaska Reclinata located on your right. Keep walking until you have the chance to make a slight left where the Pandora Drum Circle is located. Continue down the path to head towards the floating mountains. 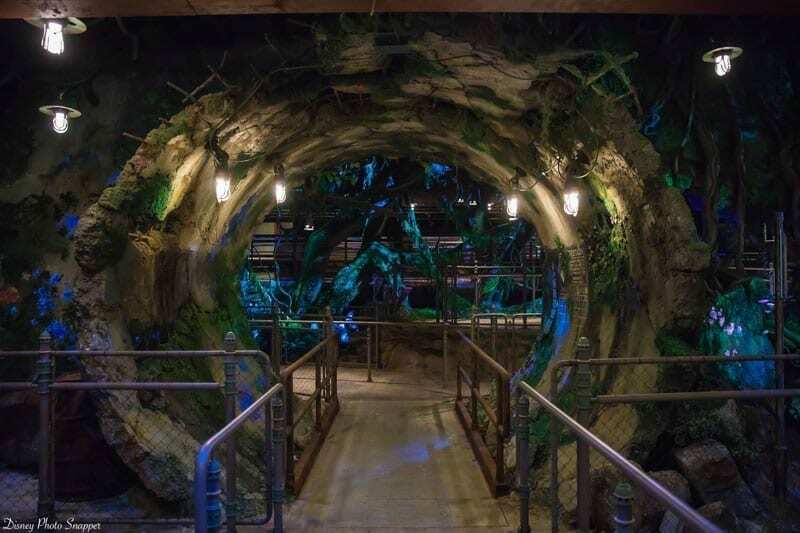 You’ll pass Na’vi River Journey on your left, go under the floating mountains (amazing! ), and finally see the simple yet noticeable entrance to Avatar Flight of Passage. 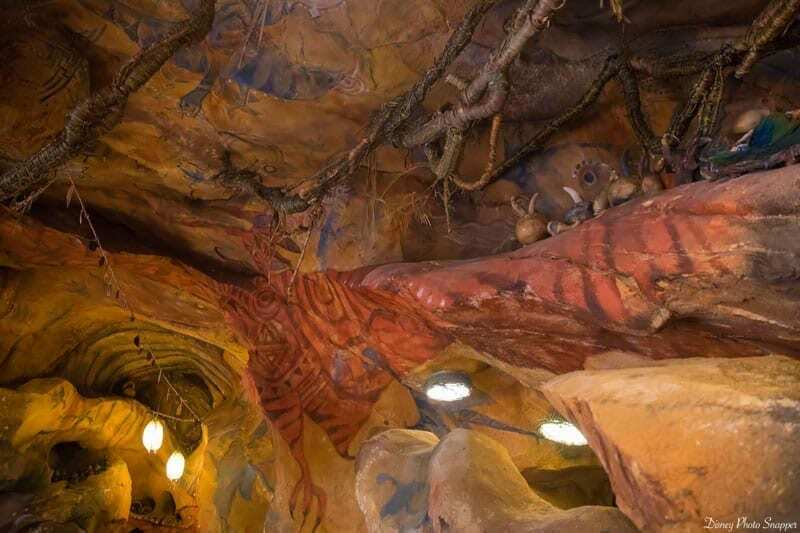 Please note, there is a second entrance and exit from Pandora that is located just past the Festival of the Lion King show in Africa. If you are coming in from this direction, walk over a lengthy bridge. You’ll know you’ve entered Pandora by the sounds and sights of the landscape. Make a right when possible which will have you looking directly at Pongu Pongu and Windtraders in front of you with Satu’li Canteen on your right. Make a hard left here and you’ll see Avatar Flight of Passage located under the floating mountains. Disney does consider Avatar Flight of Passage are thrill attraction, and we would have to agree. For safety reasons, guests must be 44in or taller to ride (same height requirement as Expedition Everest). Guests must be able to transfer from a wheelchair/ECV. Other accessibility information provided is audio description, assistive listening, handheld captioning, and video captioning. Please be aware that we have seen and heard complaints about size being a factor on this attraction. While there is no height concern for being too tall, guests have complained about weight being a factor – even to the point of prohibiting them to ride because the seat restraints didn’t latch properly due to size. Good news is Disney has added a test seat at the front of the attraction so guests can test the seat before they get in the line. One more logistic – Rider Swap is available for those wanting to ride, but needing to wait for your party to exit the attraction so they can stay back with the member in your party not able to ride. Animal Kingdom is now on a tiered FastPass system, much like Epcot and Hollywood Studios. This means that when selecting your three initial FastPass in advance, you can choose one FastPass selection from Tier 1 and two FastPass selections from Tier 2. Tier 1 attractions include Avatar Flight of Passage or Na’vi River Journey – the two new Pandora attractions. This means that regardless of how you swing it, during your initial three FastPass selections, you must select between Avatar Flight of Passage or Na’vi River Journey. 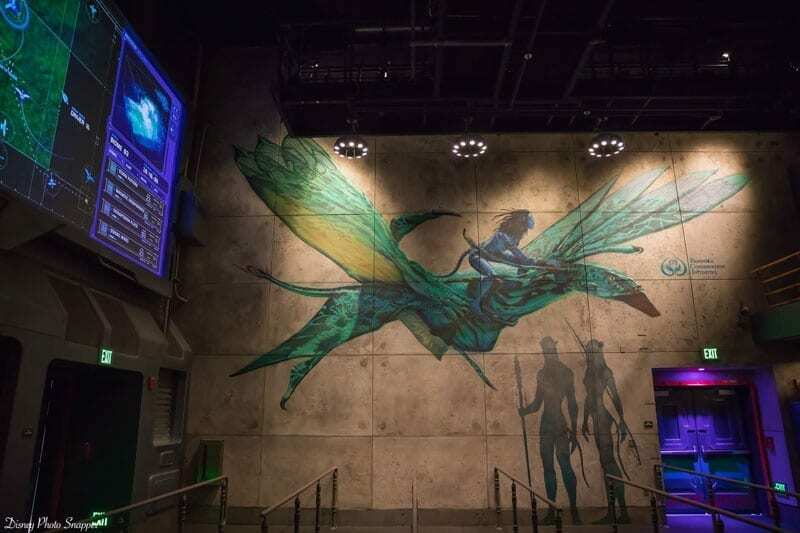 Both are popular for different reasons, but we still believe there is more of an interest in Avatar Flight of Passage since those FastPass selections seem to go faster at the 60 day FastPass selection mark for Disney Resort guests. 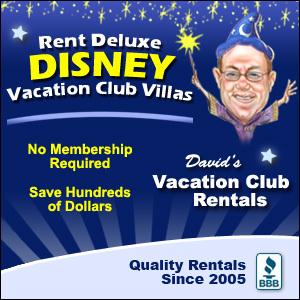 Not a Disney Resort guest? 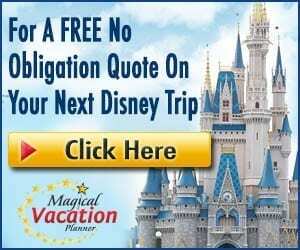 You’ll want to be in your My Disney Experience account ready to make your FastPass reservations 30 days out. If you aren’t able to obtain a FastPass, plan for very long waits in the stand by line with snacks and drinks. Current wait times run anywhere from 2-3 hours. Enjoy the Detailed Queue: Make your way through the queue with great anticipation! The journey begins in the queue as guests begin an uphill trek around a massive root structure, over a land bridge above waterfalls to an authentic totem garden. Meandering passageways lead to a cave-like structure where the great–winged banshees, or Ikran as the Na’vis call them, are celebrated in paintings and majestic totems. Next, guests enter an old, once abandoned RDA facility with a laboratory partially restored. Here, there are scientific experiments in progress with references to habitat restoration, the ecosystem, water purification and the connection of all living things. Next stop is the genetic matching room where explorers are scanned and genetic material is sampled to connect them to personal avatars in preparation for a flight experience. The queue experience is one you won’t mind waiting in! (Check out the amazing photos from Disney Photo Snapper in the slideshow below). Entering the Attraction: Upon entering, a Cast Member will ask for your party size then have you proceed to a numbered row. At the bottom of this numbered row, another Cast Member will ask you how many is in your party and assign you an individual number. Enter what looks like a lab building door into a room and find your number to stand on. If you’ve been on Soarin’ at Epcot, this process is similar. Debriefing: From here you will watch a screen that debriefs you. You will be told that Na’vi people can experience riding on a Banshee, but because we are humans we cannot, UNLESS we use an Avatar. We were then asked to move around while remaining on our number until we were matched with an Avatar. It’s neat to watch your body particles wiggle around on the screen! Once the computer finds a match for everyone, you move into another holding room where a Cast Member hands out 3D glasses. 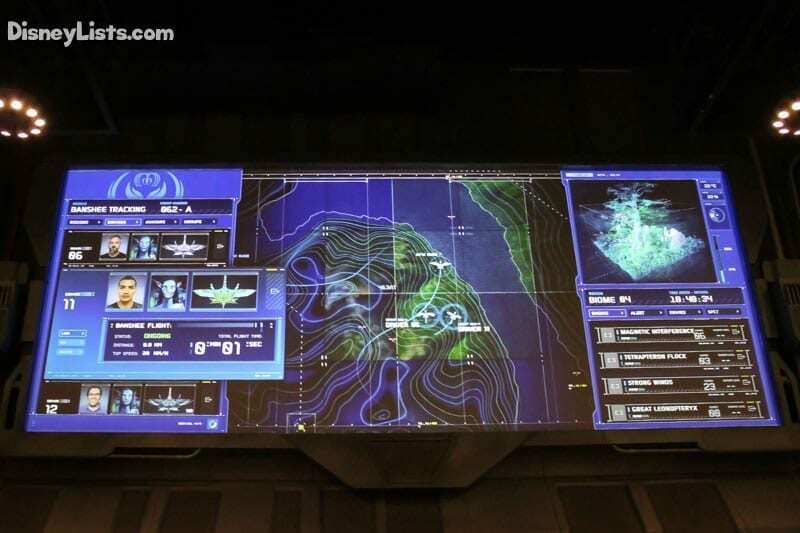 In this room, the screen debriefs you on how to board your Banshee. It seems this portion can slightly change as one experience we went right in after the instructions, but on another experience, we were told some of our party was contaminated with a virus that they had to clear before we locked in with our Avatars. We believe it changes based on the readiness of the Banshees – buying time in other words! While this debriefing portion sounds lengthy, it actually moved rather quickly. Board the Banshee: Let’s enter the seating room! Here you will see a row of motorcycle style seats. Walk to your number, put your belongings on the wall behind you, then straddle your “banshee”. You’ll be instructed to move all the way forward, pressing your stomach again the front and legs as far forward as possible. You will then be locked in with a comfortable pad like bar that comes up on your back. The screen in front of you shows that you are being linked to your Avatar. A few vibrations, neat little stage processes and being able to see yourself in your screen, and finally you’ll be officially connected to your Avatar. Flying: NOW for the exhilarating part – you’re flying. We’ve heard the concept be compared to Soarin’ in Epcot but really it is its own experience. If you look away from the screen, you’ll see boxed sections all around you. Each boxed section holds 9 or so banshees and you can see people experiencing the attraction with you. It’s easy to lose sight of them however because the screen technology is brilliant. We’ve never felt so close to truly flying. It was so smooth and with the 4D effects like misting water and awesome smells, it felt like we were really experiencing flying on a banshee! To make it even better, you can feel the banshee breathing under you. The area where your knees are located goes in and out to simulate the banshee’s lungs between your knees! To our surprise, we both agree that Avatar Flight of Passage is now our favorite attraction on Disney property. We would like to mention that a couple of friends have experienced motion sickness while riding Avatar Flight of Passage. Guests who suffer from motion sickness need to be warned that this ride is on a whole new level than any other simulator/movie attraction at Disney. The full immersion of the senses in this ride makes it so much more intense than rides like Soarin’ or Star Tours. In our case, neither one of us felt any sort of motion sickness. Mike typically doesn’t care for the open heights in Soarin’ but felt secure on this attraction. Jamie gets motion sickness from Star Tours in Hollywood Studios, but didn’t feel any sort of motion sickness on Avatar Flight of Passage. Editors Note: While Cindy has no problem riding attractions like Expedition Everest or Soarin’, this ride was another story; she got terribly sick. If you’re prone to motion sickness, you probably want to take a pass on this attraction. If you still want to experience the ride, you may want to consider having a sick bag ready and perhaps try some Dramamine before boarding. We’ll also say that the new rave is all about the robotic Banshees guests can purchase in Windtraders. Unfortunately, when we visited Windtraders all the Banshees were sold out! To wrap it up – we are impressed with the detail and beauty that Pandora – The World of Avatar offers. The Na’vi River Journey is great, the gift shop is neat, and the food and drinks are good. Avatar Flight of Passage however is by far the highlight experience for us in this land. We are huge Disney nerds and didn’t expect this attraction would win us over the way it has. But, here we are… HUGE Avatar Flight of Passage fans!